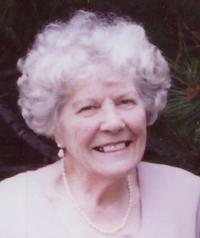 EDITH MAY (HIGLEY) HOLT HOWDEN, wife of Norman Howden and the late Isaac Bullock Holt, passed away peacefully, surrounded by family on Monday, September 3, 2012. Edith was born March 5, 1917 in Calgary to Edwin and Elsa Stokes Higley. She was raised on the family farm near Chestermere, where she and Isaac raised their family as well. Besides her husband Norman, Edith is survived by sons: Edwin (LeAnne) Holt and Wayne (Barbara) Holt, daughter Marlene (Bruce) Fawns, daughter-in-law Evelyn Baker, sister Ruth Bugbee and sister-in-law Gladys Holt Stringam. She is also survived by 18 grandchildren and 58 great grandchildren. Edith was predeceased by her husband Isaac Holt, son Brian Isaac Holt, granddaughter Shauna Sue Holt, parents Edwin and Elsa Higley and sister Helen Rae. Friends may meet with the family on Thursday evening ONLY, September 6 from 7:00 to 8:00 p.m. at CHRISTENSEN SALMON GENERATIONS FUNERAL HOME, 703-13 Street North, Lethbridge. The Funeral Service will be held on Friday, September 7, 2012 at 11:00 a.m. at The Church of Jesus Christ of Latter-day Saints, LETHBRIDGE EAST STAKE CENTRE, 4105 Forestry Avenue South. The interment will be at the Mountain View Memorial Gardens, 1515-100 Street SE, Calgary at 4:00 p.m. In lieu of flowers, memorial donations may be made to the Canadian Cancer Society, 317-10 Street South, Lethbridge, AB T1J 2M7. My condolences to the families of Edith. She was a lovely lady, very kind and always had a sweet smile. I’m sure you will miss her, but I hope you’ll find comfort in the knowledge that you’ll see her again. A special hello and love to Barb and Wayne.